Doors open at 6 PM. Show at 8. Eddie Natale at eddie7792@gmail.com or call 215-820-6354. 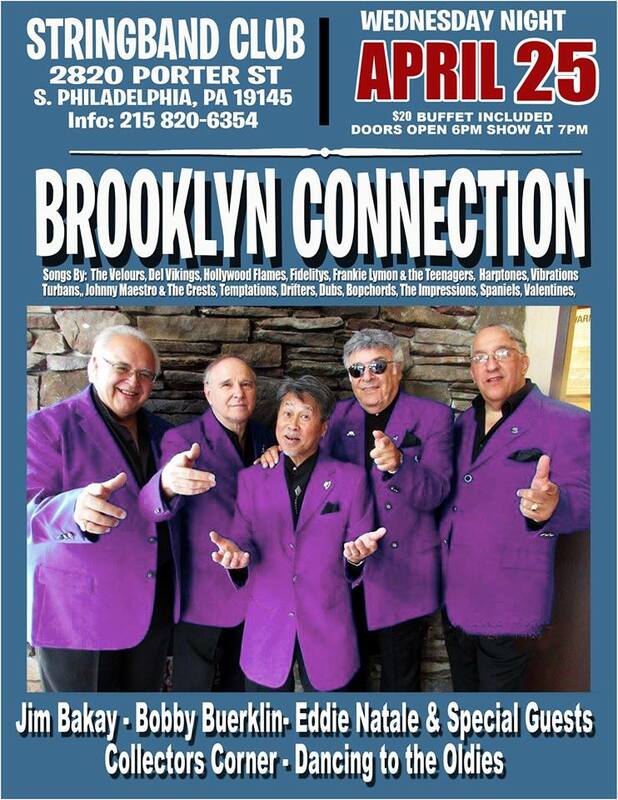 The South Philly String Band Club will be featuring the great doo wop group, Brooklyn Connection on Wednesday evening April 25. Located at 2820 Porter St, Philadelphia PA. Doors open at 6 PM, show starts at 8. $20 at the door gets you two sets by Brooklyn Connection plus a great buffet and music from dj “Night Train” Jim Bakay. For info, contact our friend Eddie Natale at eddie7792@gmail.com or call 215-820-6354.